Here is the list of the boutique* bicycle manufacturers, ordered by their name (starting with ST-SY). If you want to find a unique bike that fits your personality, review this list. Stelbel was founded by Stelio Belletti, who has been passionate about racing bicycles ever since he was a boy. Starting in the 70s, he began to race in local and amateur competitions with excellent results. Spurred by a dry-spell in his family’s workshop and the dissatisfaction he felt towards the most recent racing bicycle he had purchased, Stelio Belletti tried his hand at bicycle frame building. His results encouraged him to found the Stelbel brand in 1973. Having honed his TIG welding skills while working in the aviation industry, he became the first Italian frame builder to build TIG welded frames. In 1975, Stelio Belletti patented the first bicycle frame welded with TIG welding techniques in Italy and that same year produced the frames for the Polish national team, who went on to win the gold medal in the men’s team time trial race at the UCI Road World Championships in Mettet. By the second half of the 70s, the Belletti workshop concentrated on the production of Stelbel bicycle frames and gradually began to decrease their commitment in other areas of production. In the early 80s, for age reasons, his father Antenore left the company to Stelio, and under his management, the company hired additional employees. 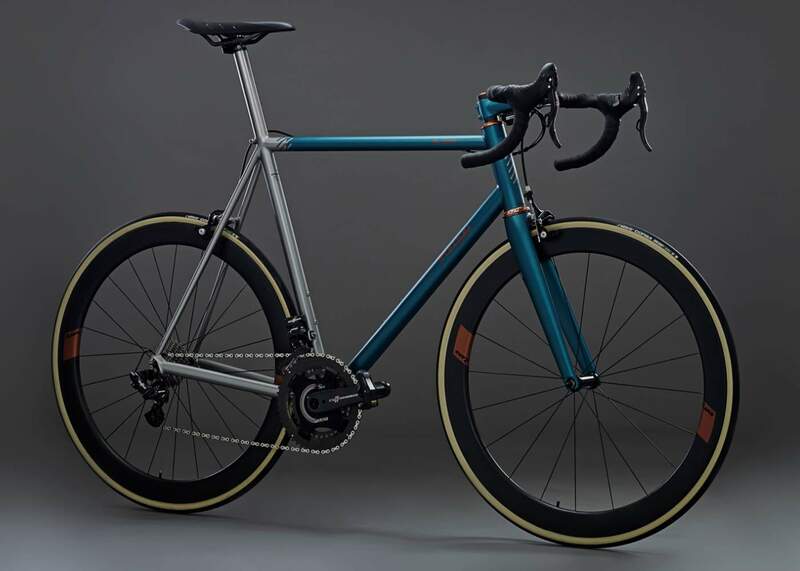 Stelio Belletti is recognized to have been at the forefront of bicycle frame construction, always pushing the boundaries and experimenting with new solutions. He remembers being one of the first manufacturers to make stainless steel frames. Belletti continued to work in his family’s workshop until 1990 when the company closed. Over the following years, Belletti collaborated with other Italian brands producing TIG welded frames made with steel or aluminum tubing. Upon his retirement, Stelio Belletti has devoted his time to sports, participating in several cycling events, and even organizing some himself. Stelbel Antenore 2019. The Stelbel Antenore is constructed with Columbus XCr stainless steel alloy tubing and is the most exclusive frame in the Stelbel range. Designed to provide maximum comfort and increased rigidity, it is intended for intensive and professional use. The name of the bike is a tribute to Stelio’s father, Antenore Belletti. Located in Etna, California, United States, the company is founded by Steve Potts, who has an experience of more than 35 years in framebuilding. 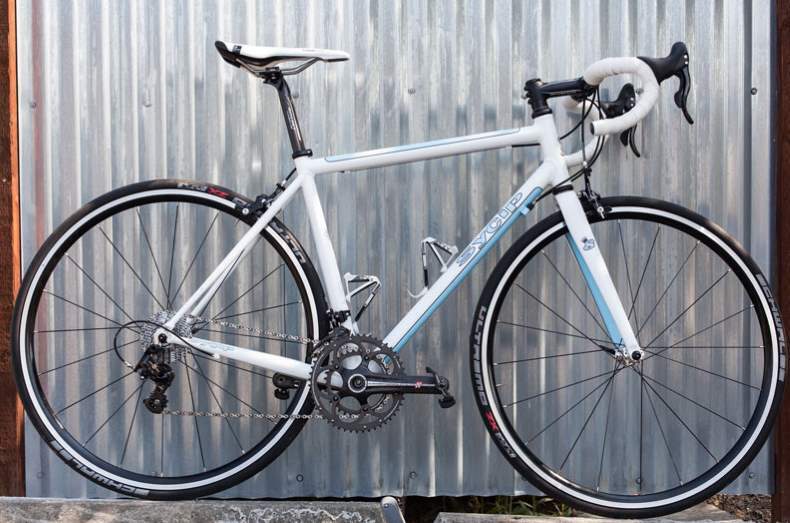 He is widely regarded as one of the best bicycle frame builders. Founded by Aaron Stinner, the company is located in Goleta, Santa Barbara, California, United States. 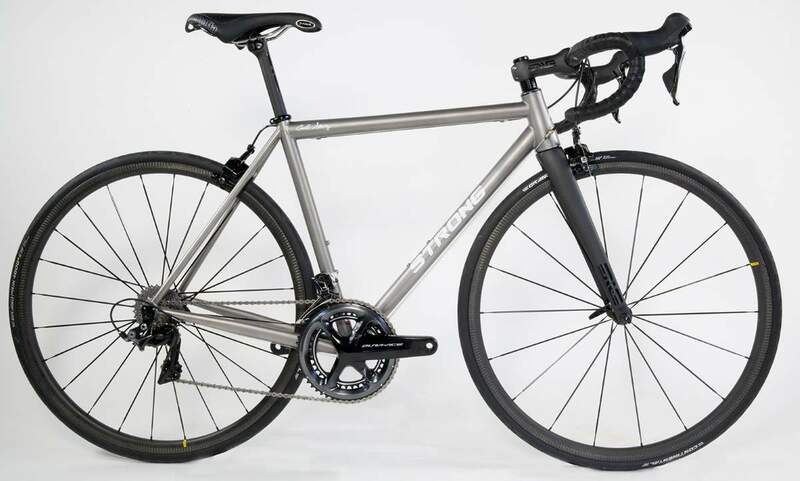 They build custom titanium and steel bicycles by hand. Stinner Gibraltar. Features and technical specifications: -Fully constructed from custom-ordered steel or titanium tubing provided by high-quality manufacturers -Stinner Select road caliper carbon road fork -Includes Front Derailleur Clamp, Rear Derailleur Hangar, Seat Clamp, and Chainstay Protector -Maximum tire clearance of 28mm -Maximum chainring clearance for 53/39 -Dropout spacing: 130mm QR Rear, 100mm QR Front -Standard Road Caliper Brakes -External shift and brake cable routing -Seat tube collar: 29.8mm (Steel), 31.8mm (Ti) -Front Derailleur Clamp: 28.6mm (Steel), 31.8mm (Ti) -Seat post diameter: 27.2mm -English-threaded 68mm bottom bracket shell -Carbon 1.5″ tapered fork, 300mm steerer -Fork crown race diameter: 40mm -44mm internal headtube diameter -Headset: ZS44/28.6 Upper, EC44/40 Lower. 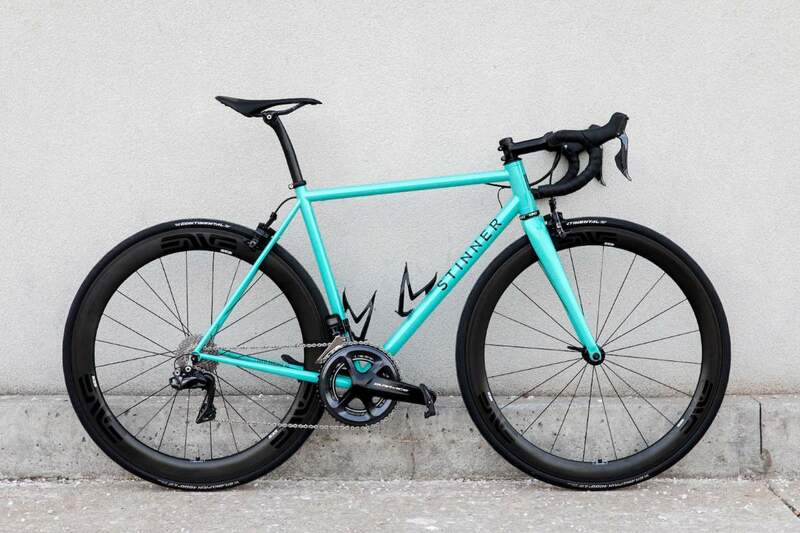 Each Stinner frameset comes with two options for colorways on a model-specific design, called The Collection. If you’re looking for a unique paint job in a specific price range, you can choose from 100 new schemes to give your Stinner a stunning design and colorway. Fully custom paint is always an option as well. The company is located in Bozeman, Montana, United States. The company won NAHBS (North American Handmade Bicycle Show) Best TIG Welded Bicycle award in 2009 and NAHBS Best Carbon Fiber Frame award in 2011. 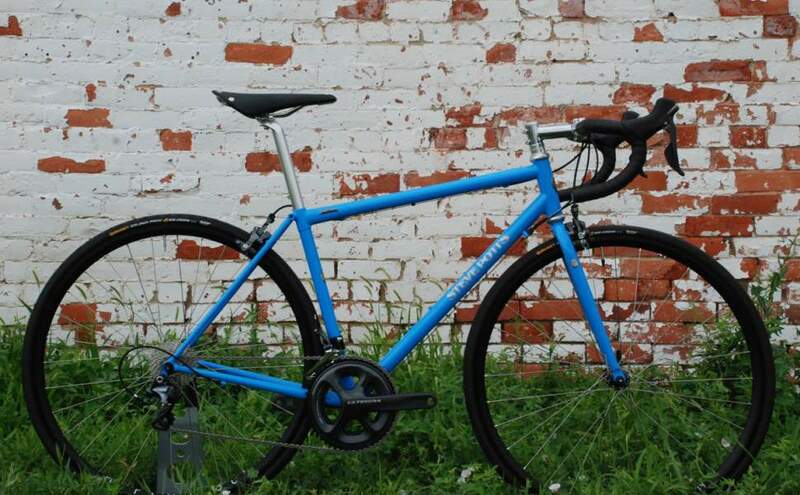 Strong Paul B: a custom blend titanium road bike for QR and rim brake. This frame also features a tapered internal standard (IS) headtube and double butted tubes. Sycip Designs is based in Sonoma County, California, United States. The founder and owner of the company, Jeremy Sycip is building custom bikes since 1992. He started Sycip Designs with his brother Jay over 20 years ago. The company is located in Amherst, Massachusetts, United States. It was founded in the spring of 2008 by friends and colleagues John Fabel and Sam Kelley. 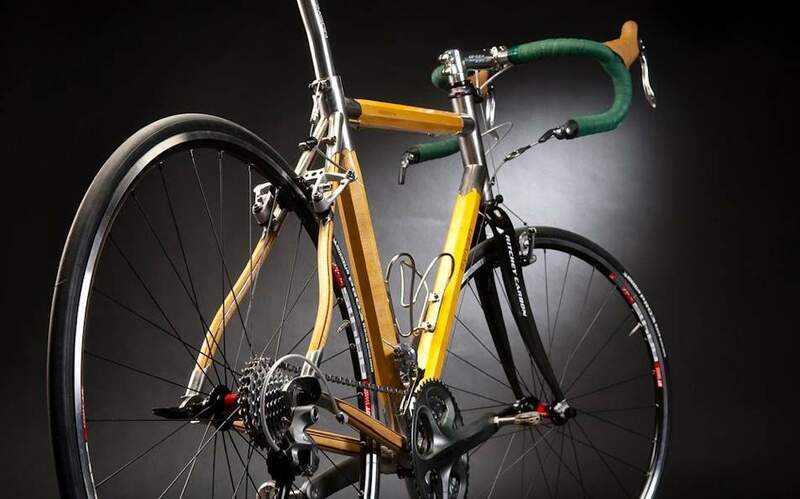 Sylvan offers a complete line of bicycles and framesets (made by wood), from road through mountain to your daily commuter ride. All models are available as complete bicycles, or as framesets (frame, fork, and headset).